With This Downloadable Pumpkin Book You Could be Creating Your Favourite Delicious & Healthy Pumpkin Recipes in Just Minutes From Now! Price With 3 Bonuses - Only $3! Dear fellow pumpkin lover if I can show you how you can make delicious sweet and savoury pumpkin recipes easily would you like to learn more? Just because Thanksgiving has come and gone, doesn't mean you can't use pumpkin and squash to create fabulous, healthy dishes all year around. If you value home cooking without preservatives, additives and artificial colours and flavours then you'll enjoy this collection of recipes. Guaranteed! 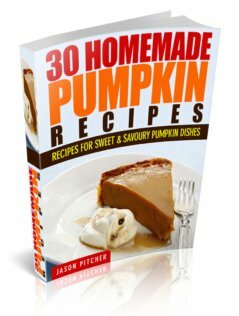 If you order The Homemade Pumpkin Recipe Book you will also receive 3 bonus instantly downloadable books all written by me for FREE. So order today in order to claim your 3 bonuses! Vitamins are needed for normal human growth and metabolism. This digital book indicates what function each of the individual vitamin groups performs, what the daily requirements of each are for adult men and women and how they can be obtained. 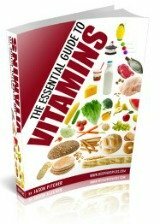 This book also explores what vitamins are, what food we can obtain them from and the consequences of becoming vitamin deficient. Unconditional 60 Days Money Back Guarantee - No Questions Asked! 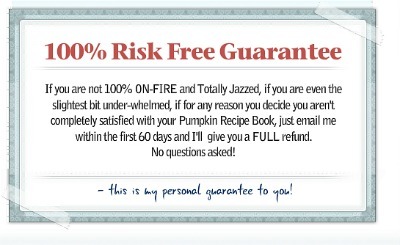 You have nothing to lose and lots to gain when buying "30 Homemade Pumpkin Recipe Book". I am so confident with my product that I am giving you a 60 day money back, no questions asked, guarantee! You get instant downloadable access to your tea book and you can start working on your spice and herb teas in just minutes from now. Your order is processed with a safe and secure transaction and you will have instant access after our merchant approves your transaction. 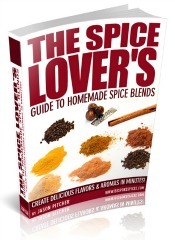 Download your copy now, and start your journey towards creating wonderful herb and spice tea. Please Note: The tea book and bonuses are in PDF format and will not be physically shipped. They are delivered as PDF files meaning you can read them on your PC OR Mac. Or if you prefer you can print them out and read them at your leisure! 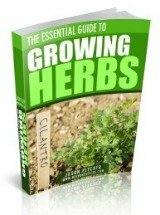 This book is downloadable from your email with the bonuses directly after payment is approved. PS. If you have any questions about the book or bonuses you can contact me here. PPS. Not ready to order? Return to the Bespoke Spices home page.